The future of materials research depends on understanding their crystallization process for precisely optimizing their structure-related properties and designing rational synthesis protocols. On the one hand, in situ X-ray diffraction (XRD) analysis is a powerful tool for monitoring phenomena like nucleation, crystal growth and phase transitions. On the other hand, it is not able to characterize amorphous (intermediate) phases, ions in solutions or very small nanoparticles and depends on synchrotron radiation for penetrating the reactor walls, limiting the availability of this method. In order to overcome these limitations, in situ XRD can be combined with the socalled in situ luminescence analysis of coordination sensors (ILACS) approach. This technique introduces emissive ions like the lanthanides or transition metals to the structure of the studied compound as local sensors. The spectroscopic properties of these ions are influenced by changes in the coordination environment, allowing to track structural transformations under real reaction conditions using fast charge-coupled device (CCD)-based detectors, in combination with in situ XRD in the synchrotron facilities and also in common university laboratories. This work shows the remarkable symbiosis of in situ XRD and luminescence analysis for monitoring the events happening not only inside the solid materials but also in the liquid media surrounding elucidating the wet chemical synthesis of emissive complexes, bioceramics and quantum dots. Finally, the recent combination of the above mentioned techniques with simultaneous measurements of in situ pair distribution function and UV/Vis reflection spectroscopy will be presented. Die Klügste Nacht des Jahres findet wieder statt. 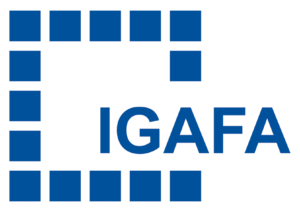 Das IGAFA-Programm zur LNDW wird in Kürze veröffentlicht. Freuen Sie sich auf interessante Führungen, spannende Vorträge und ein fühzeitliches Mitmach-Experiment.